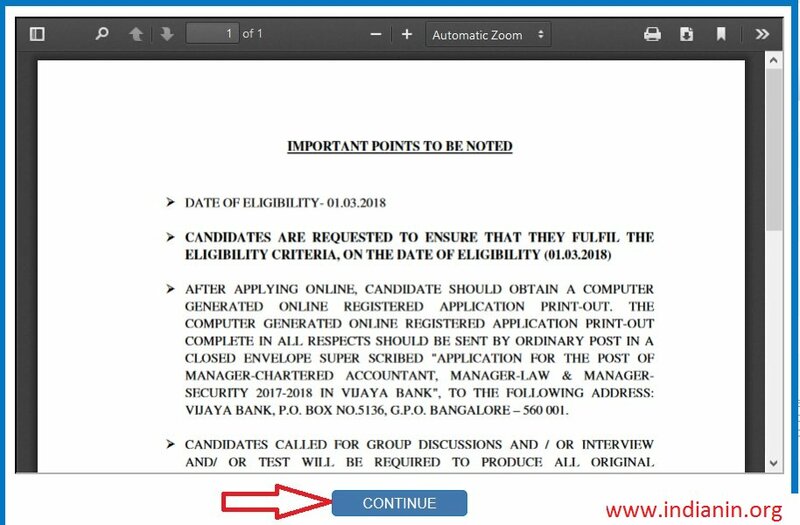 SBI PO 2018 will be conducted by State Bnak of India to select eligible candidates to the post of Probationary Officer. Any eligible candidate, who aspires to join State Bank of India as a Probationary Officer, is required to register on-line for the Recruitment Process. ** The examination will be held in three phases i.e. Preliminary examination, Main examination and Group Exercise & Interview. ** Prospective candidates will have to apply after carefully reading the advertisement regarding the process of examinations and interview, eligibility criteria, online registration processes, payment of prescribed application fee/ intimation charges, pattern of examination, issuance of call letters etc. *Vacancies reserved for OBC category are available to OBC Candidates belonging to ‘Non-creamy layer’. ‘Creamy layer’ OBC candidates should indicate their category as ‘General’. ** Those who are in the Final year/ Semester of their Graduation may also apply provisionally subject to the condition that, if called for interview, they will have to produce proof of having passed the graduation examination on or before 31.08.2018. Candidates belonging to OBC category but coming in the ‘CREAMY LAYER’, are not entitled to OBC reservation and age relaxation. ** Preliminary Examination consisting of Objective Test for 100 marks will be conducted online. ** The objective test of 3 hours duration consists of 4 Sections for total 200 marks. ** The objective test will have separate timing for every section. ** The Descriptive Test of 30 minutes duration with two questions for 50 marks will be a Test of English Language (Letter Writing & Essay). ** Candidates qualifying for GE & Interview under ‘OBC’ category would be required to submit OBC certificate containing the ‘Non Creamy layer’ clause. ** Candidates not submitting the OBC certificate containing the ‘Non Creamy layer’ clause and requesting to be interviewed under General category will not be entertained. ** The marks obtained in the Preliminary Examination (Phase-I) will not be added for preparing the final merit list for selection. ** Only the marks obtained in Main Examination (Phase-II), both in Objective Test and Descriptive Test, will be added to the marks obtained in GE & Interview (Phase-III) for preparing the final merit list. ** Marks secured by the candidates in the Main Examination (out of 250 marks) are converted to out of 75 and marks secured in Group Exercises & Interview (out of 50 marks) are converted to out of 25. ** The examination will be conducted online in venues across many centres in India. ** Presently, the starting basic pay is 27,620/- (with 4 advance increments) in the scale of 23700-980/7-30560-1145/2-32850-1310/7-42020 applicable to Junior Management Grade Scale-I. ** The official will also be eligible for D.A, H.R.A/ Lease rental, C.C.A, Medical and other allowances & perquisites as per rules in force from time to time. ** The total compensation per annum on CTC basis be a minimum of 8.20 lacs and maximum of 13.08 lacs depending on place of posting and other factors. ** Candidates who have already appeared for the maximum number of permissible chances are not eligible to apply. ** The number of chances will be counted from the examination held on 18.04.2010. Go to the Official Bank website and fill the online application form to apply SBI PO 2018. After registration candidates are required to pay the requisite application fee through online mode by using debit card/ credit card/ Internet Banking. Current Opening page will be opened. click apply online button, new Registration screen will be opened. Read all the instruction carefully, then click continue button. Application form will be displayed. ** The payment can be made by using debit card/ credit card/ Internet Banking by providing information as asked on the screen. ** Transaction charges for online payment, if any, will be borne by the candidates. ** On successful completion of the transaction, e-receipt and application form will be generated; which may be printed for record. ** The printout of the application form is NOT to be sent to the Bank. ** If the online transaction is not successfully completed, please register again and make payment online. ** There is also a provision to reprint the e-Receipt and Application form containing fee details, at later stage. ** The candidates should download their call letter and an “acquaint yourself “booklet by entering their registration number and password/ date of birth from the Bank’s website. ** No Hard Copy Of The Call Letter / Acquaint Yourself Booklet Will Be Sent By Post. ** Gazetted Officer in the official letterhead in original as well as a self-attested Photocopy thereof. The photocopy of Identity proof should be submitted along with call letter to the invigilators in the examination hall, failing which or if identity of candidates is in doubt the candidate will not be permitted to appear for the test. ** Candidates are advised to take a printout of their system generated online application form after submitting the application. ** A declaration will have to be submitted in the prescribed format by candidates seeking reservation under OBC category stating that he/ she does not belong to the creamy layer as on 13.05.2018. ** Candidates are advised to keep their e-mail ID alive for receiving advices.